qnap, seagate, nas, san, ssd, sas, disco duro, almacenamiento, microcell - Microcell Colombia S.A.S. 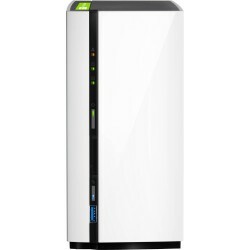 NAS QNAP SEAGATE Hay 9 productos. 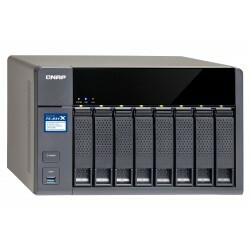 Sistema de almacenamiento NAS Qnap TS-228 2 bahias. NO INCLUYE DISCOS DUROS. 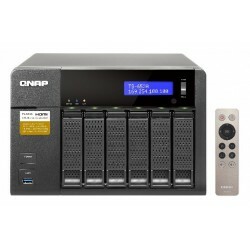 QNAP 2-bay Personal Cloud NAS with DLNA, mobile apps and AirPlay support, ARM Dual Core 1.1GHz, 1GB RAM, 1GbE LAN, USB 3.0. 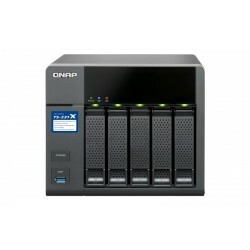 Sistema De Almacenamiento Nas Qnap TS-531X-2G 50TB 5 Bahias 5 Discos De 10TB Seagate. INCLUYE DISCOS DUROS SEAGATE. QNAP TS-531X 50TB 5X10TB DISCOS SEAGATE ST10000NE0004 ARM-based NAS with Hardware Encryption, Quad Core 1.4GHz, 2GB RAM, 2 x 10GbE(SFP+) ,2 x 1GbE, ARM Cortex-A15 Quad Core 1.7GHz, 2GB DDR3 RAM (max 16GB).